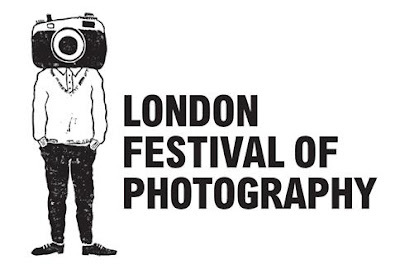 The London Festival of Photography is back with a vengeance. After the first event last summer it has dropped the 'Street' in its name and has expanded to cover documentary, conceptual and street photography in over 50 events, exhibitions and workshops, including 18 exhibitions around the King's Cross and Euston area. As well as exhibitions at the Museum of London, the Horse Hospital and the Orange Dot Gallery in Tavistock Place there will also be events at the British Library, British Museum, Tate Modern, the V&A - coincidentally some of my favourite venues in London. The Great British Public at St. Pancras International from 1 June - 1 July and features long time talents such as Peter Dench, Martin Parr, Simon Roberts, Ewen Spencer and is one of the festival's "headline" exhibitions, if you can only see one of the shows, this is it. Camera Obscura - Minnie Weisz at her studio on St Pancras Road from 1 - 29 June. Wiesz uses one of my favourite techniques to create her photographs by projecting the surrounding area onto the walls of her studio. I'd heard about Columbia Road Flower Market and had always wanted to go so last Sunday I was in the area and decided to pop down for a quick browse. Once you get past the amount of people (so many people), the market itself is a feast for the eyes. Just one bunch of flowers can bring a whole room to life, now imagine a whole road FULL of flowers. It was brilliant. "It's dead" a little blonde haired girl points at Damien Hirst's formaldehyde preserved sheep Away from the Flock which is currently on show at the Tate Modern. Kids are used to seeing animals at the petting zoo, cute fluffy and smelling all sawdusty and licking your hand as you feed them a carrot, not seeing sort of rotting, sliced in half carcases with misty eyes. Damien Hirst's first extensive show in London is a good way to introduce to children - in a fun and colourful way - that things die. That's what the show is about, life cycles, life and death whether it's a that of a sheep, butterflies or the human race.